Mandip joined Sail Training International in June 2018. 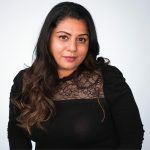 She has over fifteen years of marketing experience, working across B2C and B2B environments for products and services offering in-depth knowledge and expertise within UK, European and International markets. Mandip prides herself on creating collaborative approaches that add value and make a real impact within the market place, since 2012 Mandip has spearheaded large global initiatives across several stakeholders at grass roots and executive levels, working within high end luxury, manufacturing, arts culture and sports sectors. Having recently worked on a freelance basis, supporting both client and agency side, Mandip is accustomed at working at a strategic level, yet delivering on a tactical level. She has worked as a brand ambassador for a number of international corporates, where she focused on global brand initiatives, PR strategies, communications and online content development to cement positioning and create compelling, memorable and magical ways to build brand engagement. Mandip is delighted to have joined the Sail Training International organisation, the brand and its values are something which resonates very strongly with her.